Interactive heat map shows childhood asthma burden due to traffic-related air pollution across the U.S.
A team of air quality and health researchers led by the Texas A&M Transportation Institute (TTI) has created a first-of-its-kind, county-by-county interactive heat map and city-by-city table detailing the distribution of childhood asthma due to traffic-related air pollution across the United States. One of the principal findings is that asthma cases attributable to traffic-related air pollution dramatically decreased over a 10-year period. 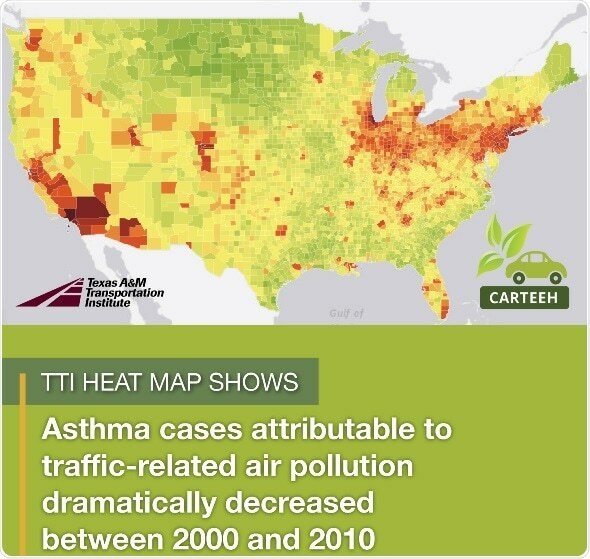 Heat map showing asthma cases attributable to traffic-related air pollution dramatically decreasing between 2000 and 2010. 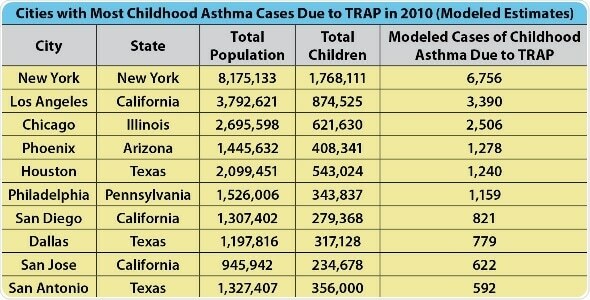 Table with data on cities with most childhood asthma cases due to TRAP in 2010.